A black Mercedes with the sticker "Mr E" on it. The only car that was ever allowed into the F1 paddock. By the looks of it, it won't be spotted in 2017. And the diminutive figure in a crisp white shirt and black pants, who'd climb out the car, and wander through the paddock, stopping on occasion to talk to racers and team managers and F1's many sponsors, won't be there either. 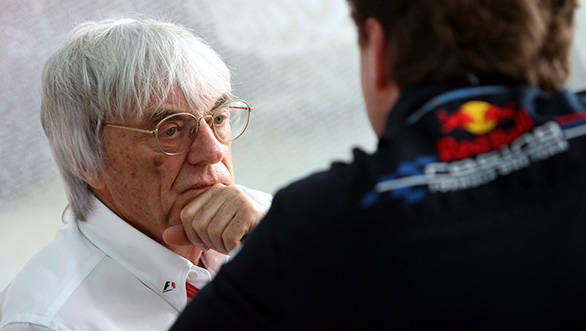 You see Bernie Ecclestone has been dismissed from Formula 1. Now that Chase Carey and the team from Liberty Media have taken control of the sport, Bernie's been offered the position of "Chairman Emeritus", a role that the man himself is uncertain of, since he doesn't know what it means or what it entails. It's been a good 40 years for Ecclestone in the sport though. 40 long years - and he started with very humble beginnings. Bernie Ecclestone was the son of a trawler-man in Suffolk. Which means he didn't come from a family with vast coffers, and he didn't have a title, or anything else to help him along in life. He did, however appear to have a head for business. Something the world witnessed even back when Bernie was a wee lad. He'd complete two newspaper delivery routes every morning before school. The proceeds from this were used to buy buns, which were then sold to his schoolmates at a profit. There was no doubt, then, that when young Bernie was done studying chemistry in school, that he'd proceed to set about making a living in the world of business. Something he clearly had an aptitude for. He started out partnering a business in Compton - a motorcycle dealership. And it's here that one can see the early signs of just how precise and fastidious a man he was. There'd be no disarray in his motorcycle dealership. Every single motorcycle needed to be arranged in symmetry. Even the handlebars needed to be perfectly aligned. The dealership simply needed to be pleasing to the eye, something that Bernie was very particular about. And it's something that he carried on to F1 as well. Why else do you think every single motorhome in the F1 paddock is always aligned to millimetre precision? And this wasn't just limited to the paddock - every car in Formula 1 parking areas needed to face the same direction because Bernie'd decided that it looked better on TV. And, there's no denying the fact that he's right. And even in those days, years before he took Formula 1 over, he'd be pretty darned scary about how he wanted things. There's that infamous story about how he ripped a telephone off the wall at the Brabham factory because someone replaced the receiver the wrong way around. Anyhow, back to Bernie's years in the motorcycle business. In his free time, young Ecclestone would race motorcycles at Brands Hatch. Eventually he'd switch to four wheels, something he believed was far safer. He competed in a few F3 races, and even entered himself in the Monaco GP back in 1958, behind the wheel of an old Connaught racecar that he had bought specifically for that purpose. However, he didn't manage to qualify for the race. A rather frightening crash at Brands Hatch actually turned Bernie off racing cars himself, and instead he took to managing drivers. Stuart Lewis-Evans, the Welsh racer with two F1 podiums to his name, and Jochen Rindt, F1's first ever posthumous world champion - both drivers managed by Ecclestone. And both with one thing in common. They both died while racing. Something that served to put Ecclestone off Formula 1 for a long while. But he'd been busy making his millions elsewhere. In his time away from F1, Ecclestone had made a name for himself in the world of real estate, and had managed to put quite a bit of money away too. Which meant that when he decided to come back to the sport, he came back as a team owner, having bought the Brabham team. 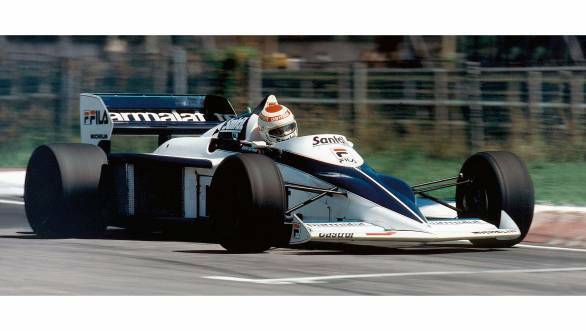 There was success that came eventually - in 1981 and 1983, with Nelson Piquet at the wheel, Brabham took home two world championship crowns. But by then it became increasingly clear that Ecclestone had his eye on another crown. Yes, he intended to be crowned the king of Formula 1. And, as the world knows, he got his way. He'd already formed, and become the president of, the Formula One Constructor's Association (FOCA). And then he'd managed to put the Formula One Promotion and Administration (FOPA) in place, that saw the revenue from television rights distributed between the teams, the FIA, and FOPA itself (essentially Bernie). The Concorde Agreement in 1981 was what cemented it all in place. Until then F1 teams were not obliged to take part in races, which meant that they could pull out of a race any time they wanted, which also meant that television channels weren't keen on covering the sport. Ecclestone turned all of that around, by first getting all the teams to sign the Concorde Agreement, which bound them to compete in F1 for the next few years. Then he approached TV companies, to whom he was able to then guarantee participation in the sport. And so he slowly took F1 to the world. He managed to convert the sport, in a sense moving it into the modern era of TV cameras and glamourous paddocks into which gaining entry was near impossible. Once television arrived in Formula 1, Formula 1 arrived in the living room of millions of people around the world. Teams made money, because sponsors were keen on having their logos on cars that were part of a televised sport. The cash flow into F1 increased. And Bernie? Well, he made money off it too. 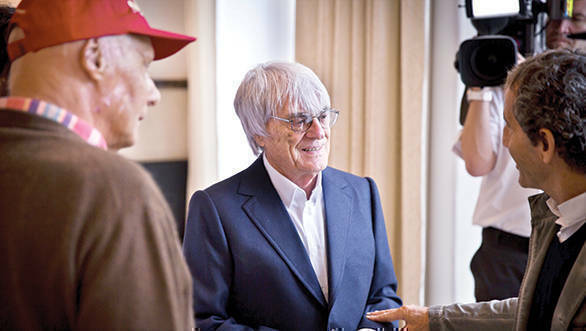 Perhaps Ecclestone's biggest coup was in 1997, when the fourth Concorde Agreement was signed that saw the FIA transfer F1's commercial rights from FOCA to Formula One Administration, Bernie's own company. Although things all changed by the time the seventh Concorde Agreement kicked in in 2013. But Ecclestone's reign in F1 wasn't without controversy. The spunky geriatric had managed to rub a few people the wrong way, and landed himself in a legal mess when he was indicted for bribing a German lawyer back in 2013. But Ecclestone's a survivor if there ever was one. And he leaves the sport after 40 years, years that he says he's proud of, controversy and all. He's taken a few punches along the way too. Let's not forget the time him and then girlfriend Fabiana Flosi were getting out of a car in London and were mugged. 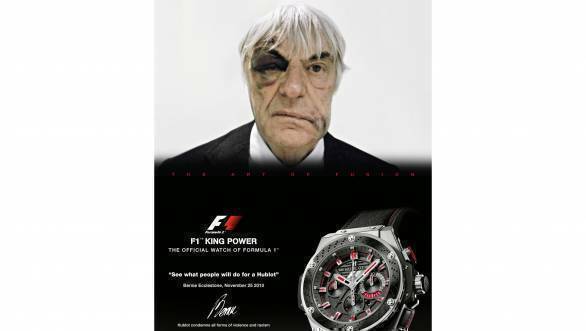 Bernie ended up with a black eye, something he managed to make money out of, when he posed for Hublot, black eye and all, with the tagline "See what people will do for a Hublot". There are many things one can say about Bernie Ecclestone, both positive and negative, but there's no denying that he's one of a kind.